This Gator product has more information on it's website: gatordriverassist.com. The Gator GTPMS4 4 Sensor Tyre Pressure Monitor Kit is a great solution for monitoring your vehicles tyre pressure on the go. 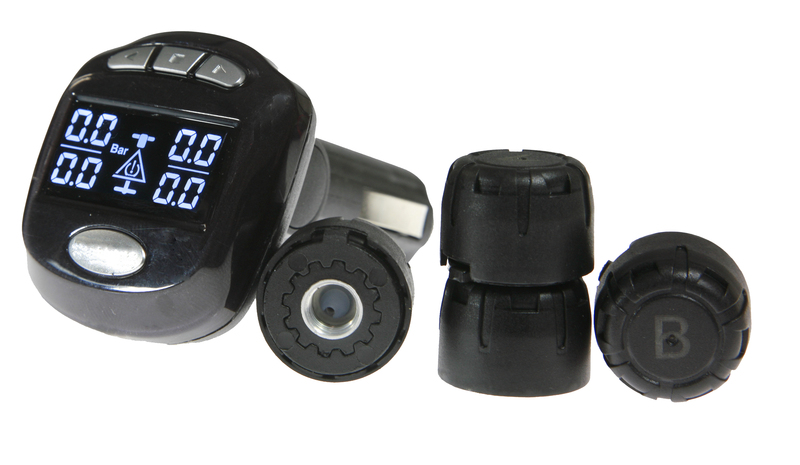 Simply screw on a sensor to each tyre valve and plug the display into the vehicles accessory socket and you will be able to see the pressure in each tyre. You can even set warnings for High Pressure, Low Pressure and High Temperature to ensure you remain safe on and off the road at all times. To avoid a blow out and increase your tyres life by reducing unnecessary wear, you need a Gator GTPMS4! High Temperature 68 Degrees Celsius.